This fly is reputed to be a very old South African pattern. Tail : A good bunch of black hackle fibres. Body : Seals fur or chenille, black. 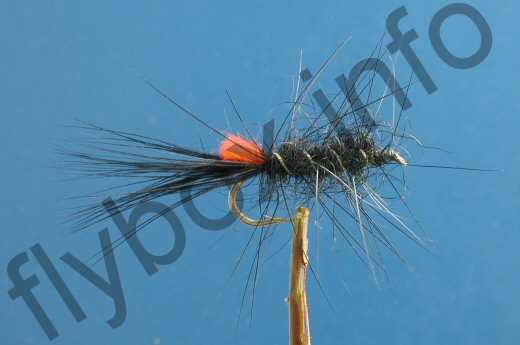 Tie in a black hackle, wind down the body in wide turns towards the tail. At the tail, rib back up with the silver wire, finish at the head, trim and whip finish. Currently there are no comments about the Black Woolly Worm fly pattern from other fly fishermen yet.